Last October, the MetLife Mature Market Institute released a study that said the over-55 workforce will account for almost 93 percent of the net increase in the U.S. civilian labor force between 2006 and 2016. At the same time, MetLife reported that many American workers plan to stay on the job “at least” until age 69. The Pew Research Center’s Social & Demographic Trends Project echoed those findings in May 2009, saying that just over half of all working adults aged 50-65 plan to delay their retirement, with 16 percent saying they never plan to stop working. The issue, says the Pew study, is not about what these Americans earn, but how much they lost during the investment meltdown and the worst economic downturn in more than 70 years. Add all these factors together and you have one of the most interesting labor situations for older Americans ever. That’s why that for every retiree or potential retiree who feels they need to return or stay on the job, it’s particularly important to review investment, insurance and tax issues. It makes sense to meet with a financial advisor such as a CERTIFIED FINANCIAL PLANNER™ professional. How are your skills? This is a valid point for current and potential retirees. The best job candidates are those with current skills in technology and procedures specific to an industry, so staying in the workforce may mean retraining. If there’s a way to get an employer to pay, do it. But if you have to pay for your own education, you really need to weigh whether your earnings will justify it. Be realistic about your demographic in the workplace: While age discrimination is illegal, there are some workplace cultures where older workers frankly seem out of place. You have to ask whether you are going to be happy staying in a field that’s populated by younger workers with different interests or whether you might try another line of work. Consider how a return to the workplace will affect you personally and socially: If you’re 40, 50 or 60, working right now probably feels like breathing – when have you not worked? But it may not be the best option after a year or two out of the workplace. Consider health insurance issues: If a retiree returning to the workforce is already receiving Medicare or is covered by a “Medigap” policy, they may be able to lower their costs or improve their coverage by accepting group coverage as primary underwriter of their medical expenses. Since people over age 55 are generally the greatest users of the healthcare system, coverage issues are particularly important to run by a financial planner. Know your tax picture: Tax issues shouldn’t determine your ambitions and goals, but it’s important to consider the impact full or part-time income will have on your finances. Most retirees realize that it doesn’t take much income to knock them into a higher bracket. Look for ways to control the taxes you’ll ultimately pay, including continued participation in qualified plans, IRAs, and other tax-favored accumulation vehicles and using annuity income to fill the gap between the beginning of the “post-retirement” period and the age when full Social Security benefits can be drawn without an offset for employment income. Consider what earnings will do to all your retirement payments: If you are planning to continue working or returning to work, consider not only the tax impact, but also how that might change the way you plan to draw on your retirement savings and investments as well as Social Security. If you are planning to work, it’s important you consider suspending or delaying receipt of those benefits for as long as you can. Look for work-related incentives: Particularly for public sector workers, there are opportunities to return to state employment and actually augment existing pensions. Keep an eye out for these programs and see if they work for you. Keep saving: If you return to the workplace, see what you can do to take advantage of your new employer’s 401(k) plan or any other tax-advantaged retirement savings benefit, particularly if an employer matches your contribution. Don’t miss a chance to enhance your retirement savings. 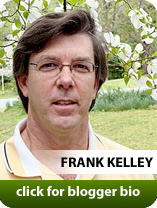 June 2010 — This column is produced by the Financial Planning Association, the membership organization for the financial planning community, and is provided by Frank Kelly, CFP®, a local member of FPA.